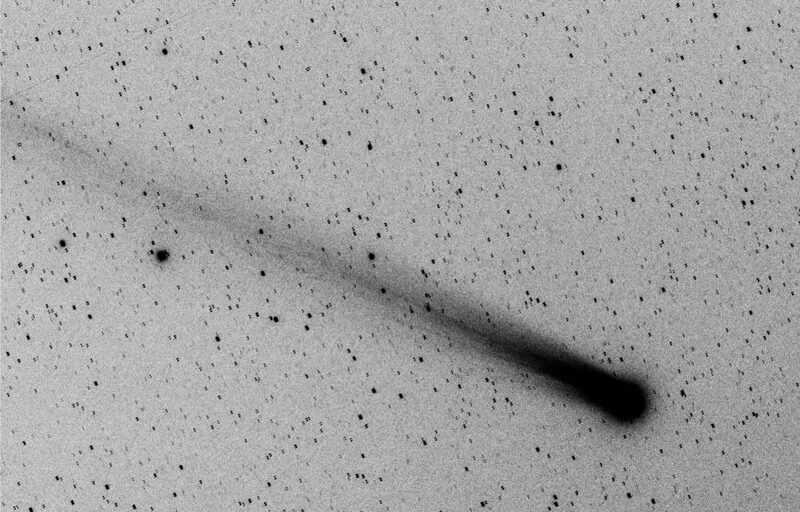 inverted black and white image of a combination of 15 60s exposures of Comet Lovejoy C/2013 R1, Nikon D7000, AstroProfessional 80mm f/6 ED (560mm f.l.) fainter tail structures can be seen this way. 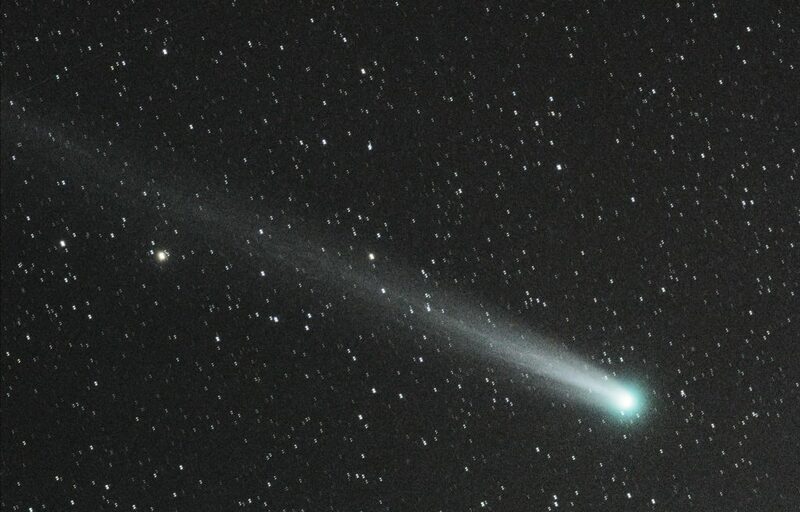 This entry was posted in C/2013 R1 Lovejoy, comets.